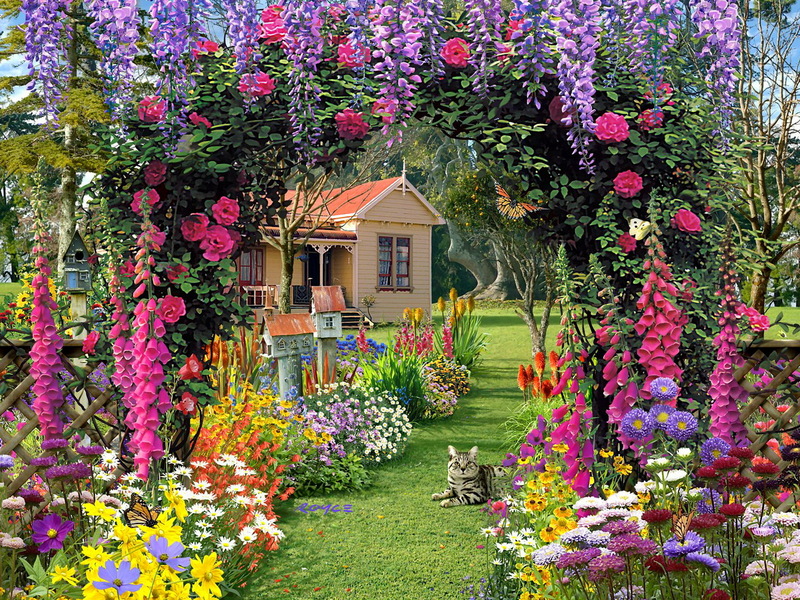 Lovely House. . HD Wallpaper and background images in the Daydreaming club tagged: daydreaming beauty dream house. This Daydreaming wallpaper contains flowerbed, flower bed, bed of flowers, japanese maple, full moon maple, acer japonicum, and window box. There might also be hedgehog cactus, chinese wistaria, wisteria chinensis, french marigold, and tagetes patula.